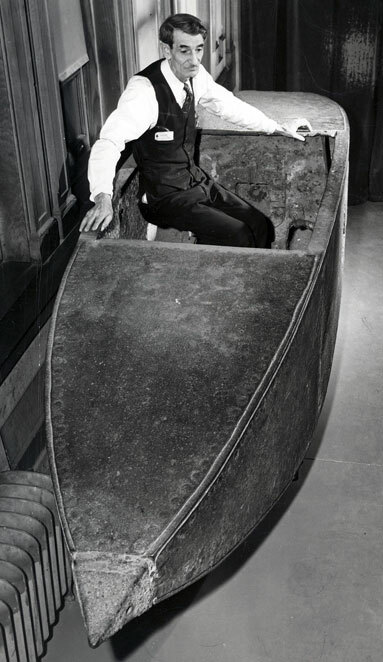 Holland Boat #1 was the first experimental submarine built by Irish-born inventor and educator John P. Holland who emigrated to the United States in 1873, and took up residence in Paterson. He was encouraged to pursue his dream of perfecting the submarine by the exploits of the Confederate semi-submersible Hunley and the experiments with the Intelligent Whale in New York Harbor. Holland Boat #1 was launched in May 1878. After a series of tests and improvements, on June 6, 1878, John Holland dove to a depth of twelve feet while members of the Irish Fenian Society watched. The observers were clearly impressed and agreed to fund the design and construction of a larger submarine. Her maximum speed was about 3-1/2 miles per hour, the longest time spent under water was one hour. After an exhaustive series of tests, Holland removed everything of value and scuttled the hull in the Upper Passaic River. The hull was recovered in 1927. 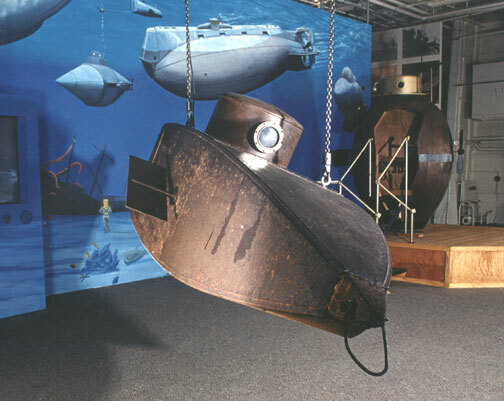 As the first power-driven diving submersible, Holland Boat #1 represented a significant milestone in the development of the submarine.